The Principal Investigator (the project director) has primary responsibility for budget planning in consultation with the Department Chair or director of the research unit. Budgets for all sponsored proposals are subject to review by the Office of Research and Sponsored Projects. ORSP staff members are available to assist the Principal Investigator in the preparation of the budget. Sponsors often prescribe the budget format that must accompany the proposal, including the specific cost categories that should be identified. The format shown on the sample budget page may be used, however, if one is not specified by the sponsor. Be sure to check with your department, unit, school or college administrator to determine the best practice. The budget should be subdivided into periods of 12-month duration (unless partial year funding is anticipated). A "starting date" should be specified, since it is essential to ensure accurate budget calculations. If cost-sharing is included, each budget period should include columns for both "Sponsor" and "University" costs. A budget summary should be included for proposals with multi-year funding. All budget entries should be rounded to the nearest whole dollar. The salary category in the proposed budget should include the names and/or titles for all personnel who will be involved in the project. The number of person months or percent effort to be applied to the project should also be shown. Total salary costs can be determined by applying the percentage of effort to the current salary rates. An appropriate escalation rate (e.g., 3%) should be used to determine salary requirements beyond the current fiscal year. While standard percentages are applied to make these calculations, no commitment and no constraint on the rate of increase for a given individual is implied by this procedure. 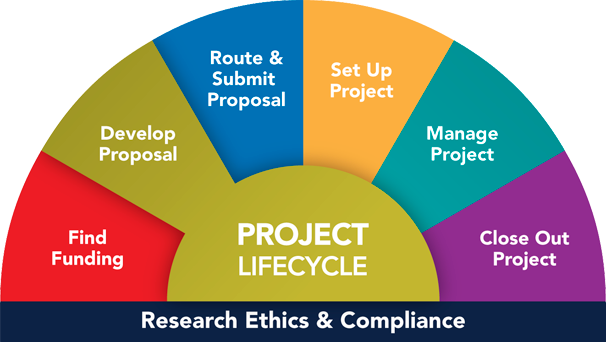 If a faculty member is working on several sponsored projects, care must be exercised to ensure that no more than 100 percent of effort is committed to the aggregate of all projects and other University responsibilities. Summer salary for faculty with academic year (AY) appointments can be figured at one-ninth of their institutional base salary for each month of summer effort. A maximum of two and one-half months may be included for the whole summer. Some sponsors, however, impose specific limitations on summer salaries. The National Science Foundation, for example, usually will not pay for more than two months of summer research at a rate of one-ninth of the AY salary per month. Costs incurred for the same purpose in like circumstances must be treated consistently. For example, salaries of technical staff should be treated as direct costs wherever the work to be undertaken can be identified with a particular sponsored project. Direct charging of these costs may be accomplished by specifying individual positions within the project budget or through the use of recharge rates or specialized service facilities, as appropriate under the circumstances. Personnel may be hired to work on a sponsored project on an hourly basis for periods up to 12 months. Individuals hired on this basis receive no staff benefits other than Social Security and should be advised accordingly. The Personnel Service Center should be consulted to obtain the appropriate hourly rates for various categories of employment. Staff benefits are charged to sponsored project accounts on a real cost basis. Depending on the mix of personnel assigned to the project, the staff benefit rate may show significant variation. While it may be possible to apply an average benefit rate (30%), it may be more appropriate in some situations to calculate the staff benefits on an employee-by-employee basis. The range of applicable benefit rates are provided in Staff Benefits Table. GSRA Cost Estimates are for budget estimating purposes only and may vary from school to school. A GSRA appointment may be held from May through August, even though the GSRA is not enrolled in the University during that time. If the appointment is for the winter and fall terms, the fringe benefit charges should be budgeted for the full year, since the student is eligible for coverage during the intervening summer even though he or she is not on a GSRA appointment at that time. The non-resident tuition differential is provided by the University for out-of-state students appointed as GSRAs. In-state tuition should be charged to sponsored accounts for GSRAs with appointments of 25% or greater. However, Schools and Colleges may provide tuition fellowships to cover a portion of the in-state tuition for GSRAs (see GSRA Cost Estimates). The portion of the in-state tuition that remains after the fellowship is applied must be included on the grant as a charge to the sponsor. In-state tuition charges should not be included as part of the GSRA stipend. The modified total direct cost (MTDC) base on which the University's indirect cost rate is calculated must exclude tuition charges. Therefore, indirect costs are not recoverable on tuition charges included in proposals for which the indirect cost rate is based on MTDC. Please contact the appropriate ORSP Project Representative should you have any questions. Consumable supplies are items used exclusively in support of project objectives. If it can be demonstrated that such supplies are used only in the conduct of the project and not for other purposes and are consumed completely in the course of the project, such items can be included as direct costs. Laboratory supplies, laboratory notebooks, printer paper for research data and reports, and so forth usually can be justified as consumable supplies. However, when supply items are purchased to support the multiple activities of project personnel, they are considered office supplies and cannot be charged directly to federal funds. Such items would include University stationary, pens, tablets, file folders, staples, paper clips, etc. The estimated costs of consumable supplies and materials should be indicated in the proposed budget. It is generally acceptable to sponsors to provide a breakdown of supplies and materials by broad categories as opposed to the detailed listing of individual items. Contracts awarded by industries holding a prime contract with a federal agency, however, may require detailed itemization of supplies. Major items of equipment proposed for acquisition should be itemized by descriptive name and estimated cost, and an adequate justification should be provided in the proposal narrative. Items costing less than $5000 or with a useful life expectancy of less than one year normally should be included under "Supplies and Materials." Shipping and/or installation charges associated with equipment acquisitions should be included in the cost estimates but generally are not itemized. Charges for computing services should be budgeted whenever these costs are justified. It is essential, however, that the budget clearly differentiate between central computing services provided by Information Technology Services and other computing services. Other specialized service centers that have an approved user rate should be included in the proposed budget on a cost basis that reflects the recharge rates with the anticipated number of hours or other units of service clearly indicated. Once established, the schedule of rates must be applied to all users of the services/facilities, including internal-university users. Recharge rates are designed to recover, over the long term, not more than the aggregate cost of the services provided. The recharge/user rate should be included as part of the modified total direct cost (MTDC) for the project and should carry the appropriate indirect cost rate. Federal agencies frequently establish a maximum daily rate of pay for consultants--specific dollar limits for various agencies are available from ORSP. The University must enter into a formal agreement with the consultant prior to the initiation of his or her effort. Consultant agreements as subject to the full recovery of indirect costs at the rate applicable to other direct cost items in the proposed budget. The entire cost of a subcontract is normally shown as a single line item under "Other Direct Costs." A formal proposal from the subcontractor--including a statement of work, a detailed budget, period of performance, and key personnel--should be included to support this cost element. The Project Director should provide an explanation of why and how the proposed sub-contractor was selected, including the number of bids obtained. Subcontracted effort requires a formal agreement between the University and the subcontractor, signed by a University official authorized to enter into contractual agreements on behalf of the Board of Regents. See: the Subcontracts and Hybrid Purchase Orders web page for criteria and procedures. Indirect costs are recovered on the first $25,000 of each subcontract. Indirect costs are real costs of University operations that are not readily assignable to a particular project. The sample budget illustrates the procedures for applying the indirect cost rate. Funds may be requested from the sponsor to cover travel costs associated with the proposed project. Sponsors often require a breakdown of such travel costs by trip, reflecting the purpose, point of travel, number of persons, number of days, air fare, lodging and meal costs (per diem), and so forth. If foreign travel is contemplated, the proposal should include relevant information (including names of countries to be visited) and justification. Some sponsors have special regulations (e.g., use of domestic air carriers) governing foreign travel. Costs of preparing and publishing reports of project results should be included in proposed budgets. Since page charges often are billed well after the completion of the research, it may be necessary to secure time extensions to pay these charges prior to the time that the project is closed out. Other anticipated direct costs should be itemized--for example, equipment rental, maintenance agreements, or off-campus space rental. Telephone services and postage should not be included unless these costs are expected to be major elements in the project (e.g., telephone surveys). "Miscellaneous" or "contingency" categories should not be included. Items normally considered indirect costs should not be included in the proposed budget unless they are extraordinary and for unlike circumstances (e.g., utility costs required to operate a high-energy particle accelerator). Network costs, including the hardware, software, personnel services, public access sites, and other related costs required to enable University personnel to share software or data or to communicate electronically with other individuals, are considered to be part of the physical infrastructure of the University and are classified as Plant Operation and Maintenance (O&M) expenses (i.e., indirect costs). However, individual workstations and specialized hardware and software attached to the network, which are not available to all users, are not included as part of the network costs and may be treated as direct costs and recovered from sponsored projects through the use of approved recharge rates. Contact your unit-level research administrator for the best practices for your department, school, college, or unit. Contact your ORSP Project Representative regarding any questions about University policies and procedures. Contact the Office of Contract Administration for further information on subcontracts and consulting agreements. For information on how to pay human subjects, please see the Treasurer's Office requester/study-coordinator resources and the HSIP (Human Subject Incentive Program.